The life of an entrepreneur, businesswoman, wife, mother…no matter how many job titles you have, you’re likely extremely busy. The more jobs you have, like balancing work while also taking care of a family, the more likely you are to have very little time to yourself. With so much of your time devoted to stress, focus and work, it leaves little room for any spirituality in your life. No matter what your belief system may be, staying spiritual can help to keep us all grounded and thriving in life. When you lose touch with this spirituality, stress can quickly consume you and a piece of your life you once cherished will begin to fade away. The good news is that spirituality doesn’t have to take up a large chunk of your time. You can stay spiritual no matter how much you have going on, as long as you keep your spirituality within your heart at all times. Still, acts of spirituality can help make us feel loved and complete, so consider these three methods for keeping spirituality in your life, even if you’ve got a full schedule on your hands. Sometimes exploring your spirituality isn’t something you do directly — it’s the reflection of your spirituality in how you react to and treat others. These themes of love, peace and acceptance shouldn’t stay within you, but instead should be shared with everyone you know. Take time out of your day to share kindness, no matter how small. Compassion is something that the world is lacking, and injecting this kind of understanding and support into the lives of others will make you feel more connected to your values. In a perfect world you would have time to volunteer, but don’t feel bad if you can’t make grand gestures of charity happen. Small acts of kindness can still have a big impact on someone’s life AND your own. Hopefully you still have time every day to take a bath. Even if you can only spare 10 minutes for a quick rinse off shower, that’s all you need to reconnect with yourself spiritually. Being alone in your bathtub also creates an atmosphere of relaxation and serenity. Let the steam gather around you and think about your spiritual path while you shower. Utilize this time for inner reflection, as it may be the only time you get to yourself during the day. Keeping in tune with your inner self can sometimes be what you need to stay spiritual. Spirituality shouldn’t be something negative — it should be kind, accepting and positive. Still, it’s easy to get frustrated when you’re stressed. You’ll say things you don’t mean and be unnecessarily critical of yourself and others. Stay in touch with your spirituality by examining these instances before you go to sleep. Make a pledge for positivity, and ask that someone help you stay on this positive path. Figure out ways to stay grounded so that you continue to inspire beauty and kindness in others instead of letting negativity cloud your spirituality. NEW! 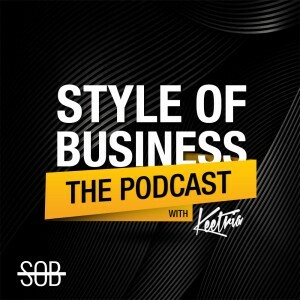 SOB Episode: "Bring Your Creative Game to the Table"